Optimizing biomarker-driven clinical trials for design, planning and enrollment. With a world-class comprehensive genomic profiling platform, a knowledge base­­ made up of more than 300,000 de-identified patient cases, and deep biopharma and provider partnerships, Foundation Medicine sits at the nexus of a revolution in biomarker-driven trial optimization. Our FoundationSmartTrials program helps partners run faster, smarter trials. We provide services to help identify new targets, optimize trial design, and screen patients for enrollment who meet specific genomic criteria. Better cancer care today, fueling better cancer care tomorrow. We sit at an intersection of medicine and biopharmaceutical research, combining our talented scientific team, more than 300,000 sequenced patient samples, and over 30 biopharmaceutical partners. Utilize more than 300,000 patient genomic profiles in the FoundationCore™ knowledgebase to define biomarker criteria, map geographic ordering patterns and select sites with the highest testing volumes. Current clinical trial design and recruitment strategies are unsustainable in a molecularly-driven era. Foundation Medicine's Precision Enrollment, Recruiter and Just-In-Time programs are here to help. 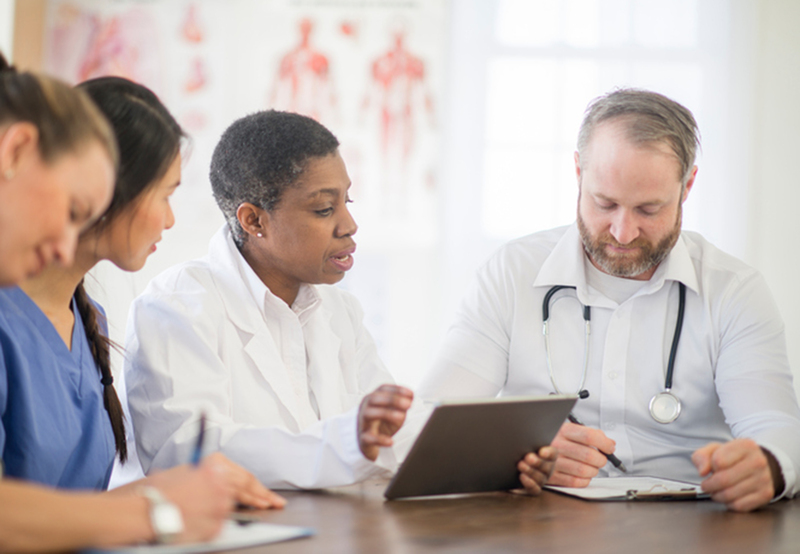 Our Just-In-Time Trial Access solution provides instant activation of sponsor trial sites closest to identified patients, reducing costs for the sponsor and speeding up enrollment rates and timing. Using our databases and trial enabling expertise, we can help optimize your institution’s trial planning. Current clinical trial design and recruitment strategies are unsustainable in a molecularly-driven era. Patient populations are narrowly defined and widely distributed — not just at academic centers. Foundation Medicine has the tools to fill trials in the molecularly-driven age. For each trial, we help find the right patient. Our Precision Enrollment program identifies patients with rare or specific biomarkers and matches them with sponsor trials using the FoundationSmartTrials engine. In addition to efficient patient matching, the Precision Enrollment program raises awareness in the community with respect to clinical trials and evolving science; which further amplifies participation. Clinical research sponsors gain insight into standard of care, prevalence trends, and trial expansion opportunities. Hundreds of new genomic profiles are added to our FoundationCore knowledgebase per week. We identify patient profiles with rare findings, match them to available trials, and place them into queue for outreach. Our medical team of oncologists reaches out to the ordering physician and provides clinical trial options. 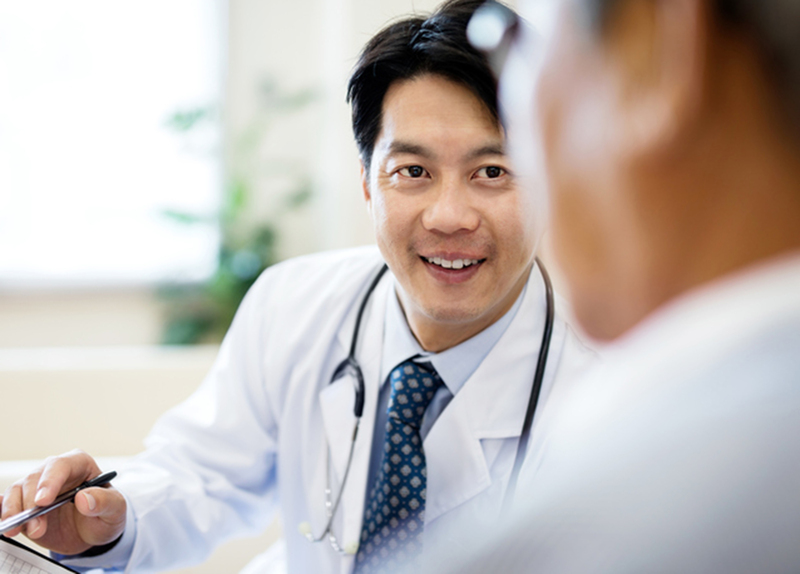 The physician determines the level of interest and reaches out to the clinical trial sponsor to pursue enrollment. The sponsor provides the physician with enrollment options for their patient. Our Recruiter tool is optimized for early-stage trials or trials with broader target profiles. This service identifies qualified patients for potential enrollment at the same institution where they are being treated and provides these results in an automated report delivered weekly. Our Just-In-Time Trial Access solution, powered by the Precision Enrollment program, provides instant activation of sponsor trial sites closest to identified patients. We partner with service providers who can open sites as soon as a patient is identified by the Precision Enrollment program, reducing costs for the sponsor and speeding up enrollment rates and timing. Ready to discuss how a partnership with Foundation Medicine can advance your clinical trial?